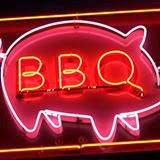 O.K....I'm giving you a full report on last night's jazz gig at DICKERSON's SOUTHBAY BBQ or just SOUTHBAY BBQ...or also known as THE PIG BAR. It was cool, smooth with a happy crowd.... We [Steve and I] got there early, and the ramp to get upstairs for everyone with their own wheels was easy, gentle, wide AND smooth...or NO problem at all. The bathrooms big enough for wheelchairs with people at the same time [I know]....so come out and see this place, you guys that need special considerations It was worth the effort, time and besides it was fun too. O.K? THE D.C JAZZ QUARTET will all be there again next Tuesday night from 8 to 10 pm, so that's a good time to show up and have a few cold beers, or some drinks, tacos or awesome BBQed pig, chicken, ribs...you know. MENU here AND listen to some wonderful jazz all at the same time. The jazz was a hit, with BARTLETT ON BASS smiling the whole night. [I love to see that. Jan] D.R./tenor sax came in and sat in for a few tunes, thanks D.R., as well as SCOTT SANDERS/percussion. Steve and I have known Sanders for almost 20 years. A big pleasure and unexpected surprise for us both, and, thank you too Scott. Our Country singer friend, DON SUNN wants to hear great jazz, and will be there next week. BARTLETT talked to him this morning, after getting a frantic message from him last night when we got home...wondering where we were?...Just remember,... 619 Legion, downtown Olympia...it's got a pink neon Pig lit up over the door and delicious BBQed pig inside that door [we had a BBQed pulled pork sandwich...yes, delicious]...you can't miss it...see photo above. BUT, I have to say...there was one little tiny-whiny [spell?] disappointment last night, I hate to mention it, but...I didn't dance at all last night, guess, I was just worn out from so much practicing yesterday afternoon at home. Read more HERE Next time, I'll plan better...'cause I've learned some really SMOOTH moves from Mr. Boombastic or was it Mr. Beanbastic? Anyway, I was all worn out.